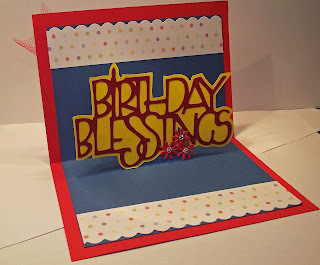 I have a couple of posts today and one is my DT card for the new challenge starting today at Crafty Bloggers Network . 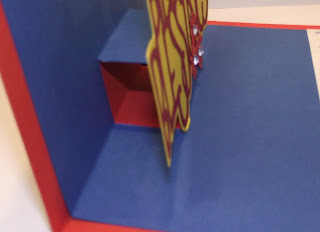 The theme for this new challenge is Pop-Up! 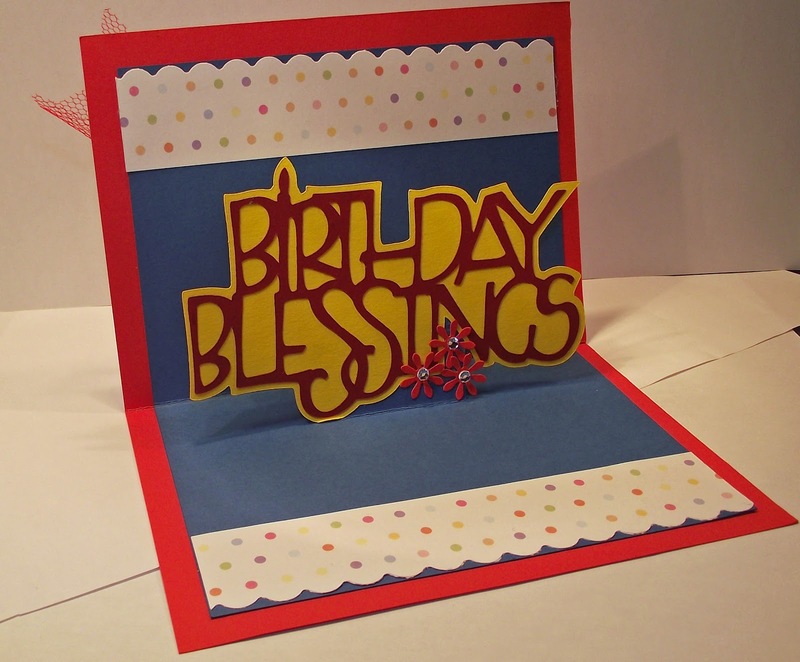 I decided to go with a card suitable for an older child, using primary colours and bright lettering. I chose to use a simple fold to help the lettering stand proud of the back of the card. The inside is decorated with a scalloped band from the same paper that covers the front of the card. Take a peek at what the other DT members have created. Some really stunning stuff! Thanks for taking time to read my blog. Your time and comments are appreciated. Lettering from Cricut Cart - George and Basics. 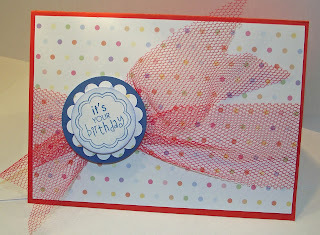 'It's your Birthday ' stamp from Hero Arts - Birthday Sentiment clear stamps. Wow Angela I love POP UPS and this is fab. Love that bow! what a lovely card I love this one . Your colours are beautiful .